If he isn’t at school, then he must being hanging out with his friends, playing soccer at Mary S. Young park, or biking around the area to get food. 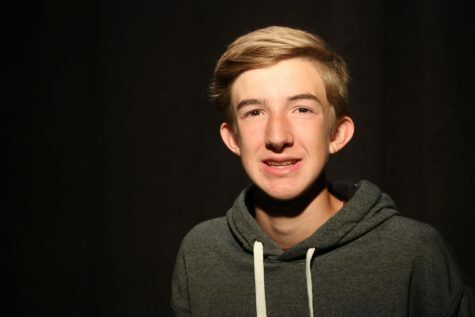 Augustin Seigneur, Sophomore, usually keeps himself occupied with a variety of activities. Seigneur agreed to take a semester of journalism after his friend told him about the class. Seigneur keeps himself challenged and busy in school by taking a variety of more advanced classes. This year, Seigneur is taking classes like AP U.S History, trigonometry, and Spanish 3. “I wanted some hard classes, but I also wanted to keep a balance and didn’t want to overwhelm myself.” Seigneur said. This fall, Seigneur is playing coed soccer with the Willamette United Football Club. “It's super fun because it's more chill then playing for the high school team, and a bunch of my friends are on the team,” Seigneur said.